Were you aware that there are millions of satellite radios on the roadways of America that are idle, not generating revenue, and are essentially like a diamond in the rough? About once every quarter SiriusXM "lights up" every satellite radio for about a week in hopes that a non-subscriber will experience the service and then become a customer. From SiriusXM's perspective it is a decent plan. It costs nothing to do it, and if it lands some subscribers that is great. The problem is that there is a total reliance on the consumer to reach out to SiriusXM. If only there was a way to engage these consumers in a manner that lets SiriusXM reach out to the consumer. Last year when the company began starting up a used car program it was a huge step in the right direction. Participating dealers would be able to offer consumers a three month promotional subscription when a satellite radio equipped used car is sold. This year the company is taking things a step further with "Service Lane". 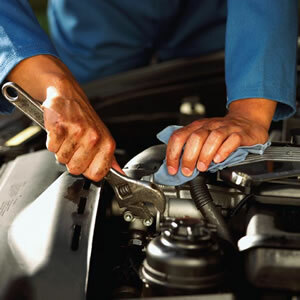 Now qualifying consumers can get a two month promotional subscription when they bring their car in for service. Brilliant! This is yet another proverbial net in the water that will allow SiriusXM to identify consumers that have satellite radio's. Further it will allow the company to engage that audience and offer services and plans that might be attractive to the car owner. There are two types of marketing. These are "Push" and "Pull". Push marketing is when a company is pushing out its product or service and engaging the consumer. Pull marketing is when the consumer is seeking out the product or service and is engaging the company. The challenges with a Pull strategy is that sometimes a consumer does not even realize that the product or service is something they may want. With the used car initiative SiriusXM is doing some pushing. The reward is potentially new subscribers, but more importantly having an understanding of who owns the satellite radio equipped car. Kudos to SiriusXM. There is a great potential that the "Service Lane" could become the "Fast Lane" for growth. Sirius has been the best investment since 2009 and I strongly believe it will continue to be one of the best long term buy and hold stocks out there. For those that like to trade it good luck with that! SIRI is generating lots of cash and is still growing in the USA and Canada a country were they have absolutely no competition other than old fashion terrestrial radio since Pandora is not available there.